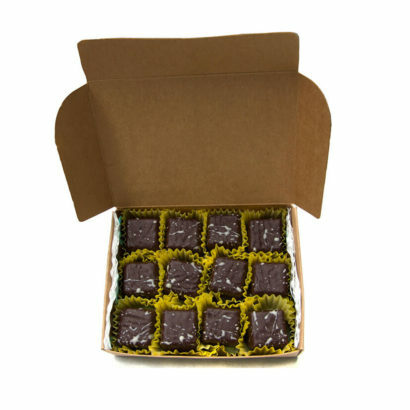 Organic and fair trade dark chocolate (cocoa paste, cocoa butter, vegan sugar, soy lecithin, vanilla), organic peanuts, organic confectioner's sugar (contains organic cornstarch), organic vanilla, organic coconut milk, sea salt. 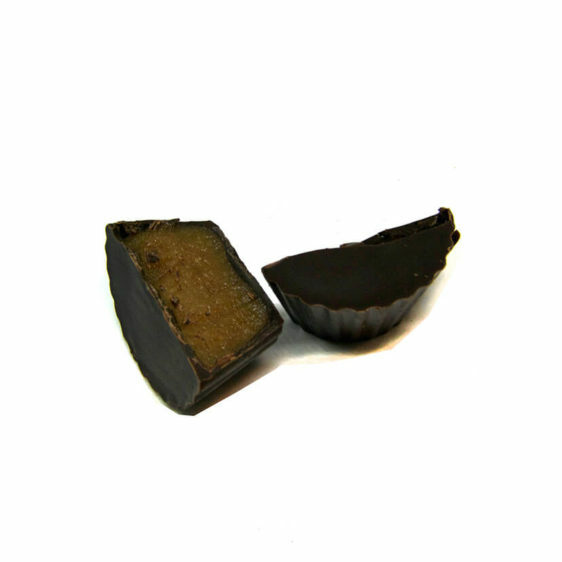 Ultra peanutty peanut butter cups. Named for my mother. 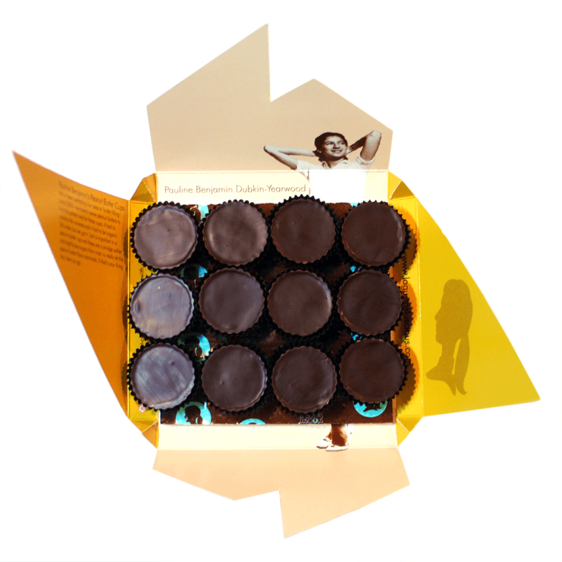 Everyone’s favorite, all grown up with smooth dark chocolate and all-natural (organic, of course) peanut butter. 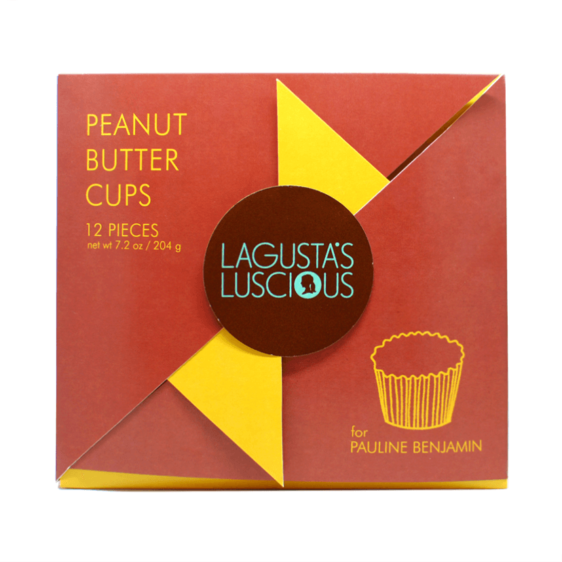 These are not very sugary at all, and are more moussey than commercial peanut butter cups–almost caramel-like in their smoothness and creaminess. 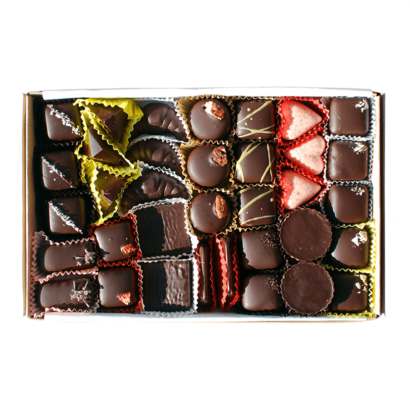 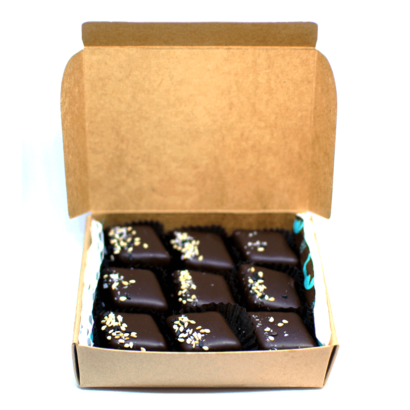 1 box, 12 chocolates, 6 oz.